The festive season is fast approaching and we're ready with all the beady inspiration you need to design your own handmade decorations, gifts and jewellery. 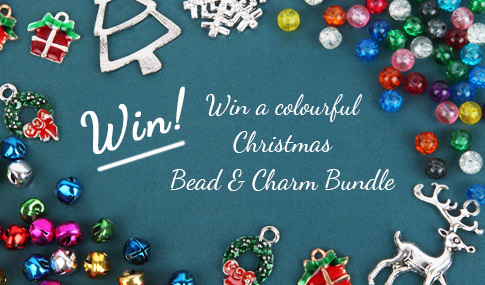 Click the button below to be in with a chance of winning a cute Christmas bundle. * Competition is open internationally. Ends midnight 1st November 2018 and any entries after this time will not be entered. Only one entry form per person, duplicate entries will not be entered. One winner will be contacted via email on the 2nd November 2018.